Physical Preparedness can be defined as the willingness and capacity to perform, improvise or resolve a continuum of reality-based physical skills. For crisis response, that work involves all of the tasks associated with performance. The demands imposed upon crisis responders vary in duration, complexity and intensity. As a result, TACFIT™ enables you to execute both conventional and unconventional physical tasks. 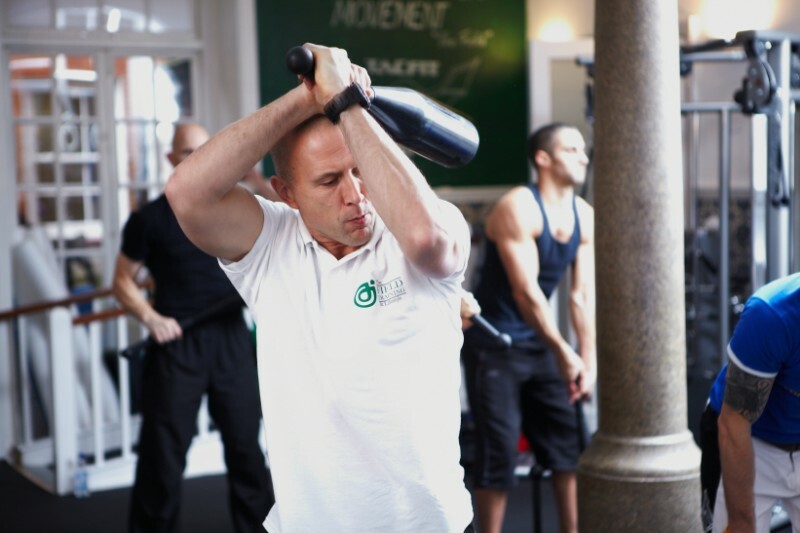 Functional Varied and Improvised Movements: exercise must cover a wide array of reality-based skills. Physical Preparedness is a job requirement and enabler for crisis responders. Unfortunately, most physical training (PT) programs do not meet their needs because they were designed from a sportive and in many cases bodybuilding perspective. Most PT programs overemphasize aerobic energy, through long, slow duration training; others overemphasize size and limit strength. Physical preparedness must follow function within the energy system of tactical response: the capacity to work at high intensity in multi-planar movement for repeated bursts of short duration with fast recovery. Current PT programs fall sorely short of these demands. Furthermore, extant PT programs fail to place sufficient attention on injury-proofing tactical responders (not just physically but psychologically and biochemically) through active recovery and prehabilitation training. Crisis response requires a comprehensive physical training program which will foster the necessary physical skills. TACFIT® metabolic conditioning focuses on making you more prepared than the challenges you face through a cascade of physical attributes: functional stamina, extreme range reactive strength, three-dimensional ballistic speed, multi-modal agility and coordination, and integrated active recovery and prehabilitation. It must be infinitely variable and incremental in sophistication, and psychologically challenging. Injury-Proofing: developing the range and depth of functional skills encountered during tactical response, and slightly beyond the scope of those skills in order to create a ‘safety valve’ for when movements deviate from the expected. Prehabilitation: priming connective tissue, joints and joint fluid for performance to prevent injuries and to refine the ability to absorb and retranslate force encountered during tactical response. Active Recovery: specific low-intensity mobility exercise to recuperate from intense effort to prevent overtraining, increase healthy circulation and diminish delayed muscle soreness typical of extreme exertion. General Physical Preparedness: increasing the capacity to perform work at high intensity for repeated burst of short duration, and increasing the speed of recovery between bouts of activity. Specific Physical Preparedness: sophisticating work capacity in multiple planes, three-dimensionally through the heaving, swaying, surging, pitching, yawing and rolling.